Setting up camp with backdoor bay behind frozen over with sea ice. 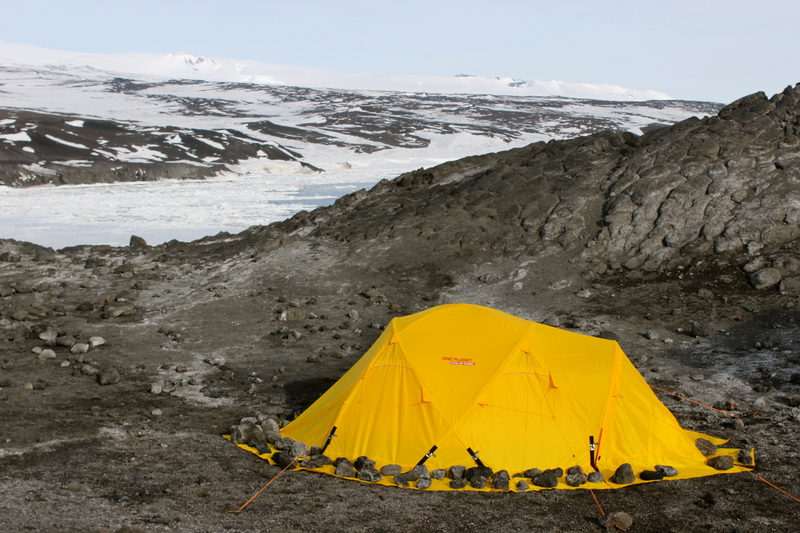 After arriving at Cape Royd’s the first priority was to set up camp. Nichy had this sorted in no time at all while I was busy carting the gear down from the heli pad. The camp site was about 400 meters away from the hut. The bay behind the tent is Backdoor Bay which was used by Shackleton’s ship “Nimrod” to unload provisions for the expedition. Camp site with the hut approx 400m ethers away. After the visit to Scott’s Terra Nova hut at Cape Even’s we made our way back to Scott Base. By this time I was feeling quite jaded after working around the clock gathering as much photographic material as possible. 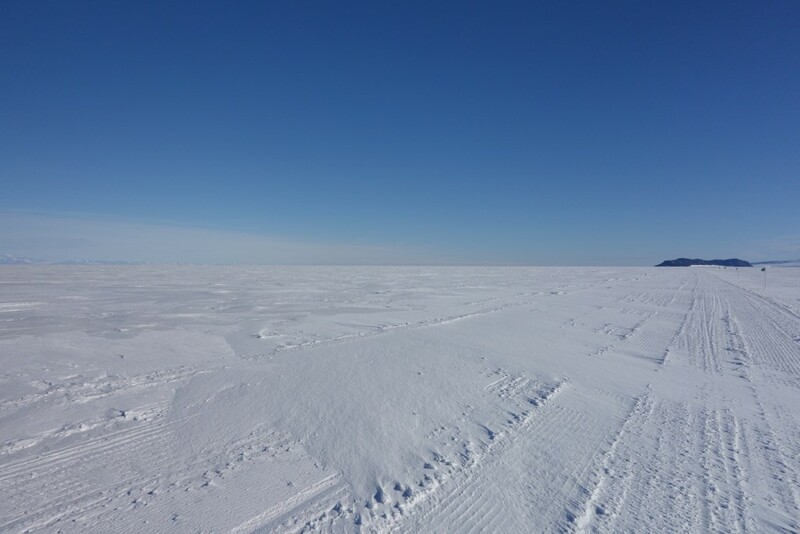 Immediately after arriving back at Scott Base the thoughts of a break were quickly short lived. 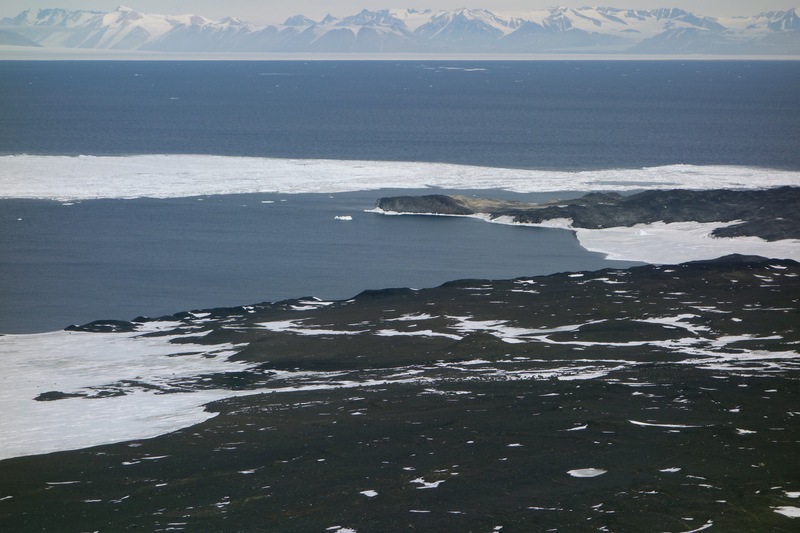 A meeting with logistics staff confirmed that we were heading to Cape Royd’s the following day. Fatigued no more as adrenalin kicks in and preparations for the trip are quickly underway. 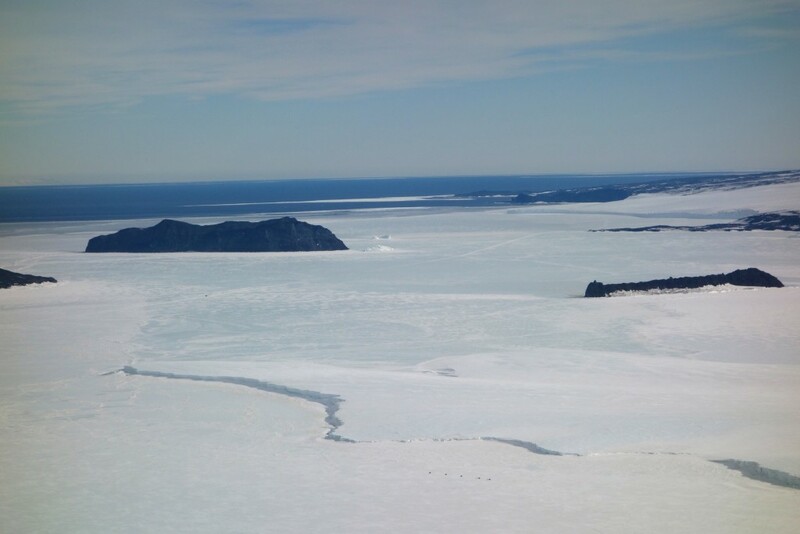 Passing over Razerback mountain with Cape Even’s and cape Royd’s in the distance. 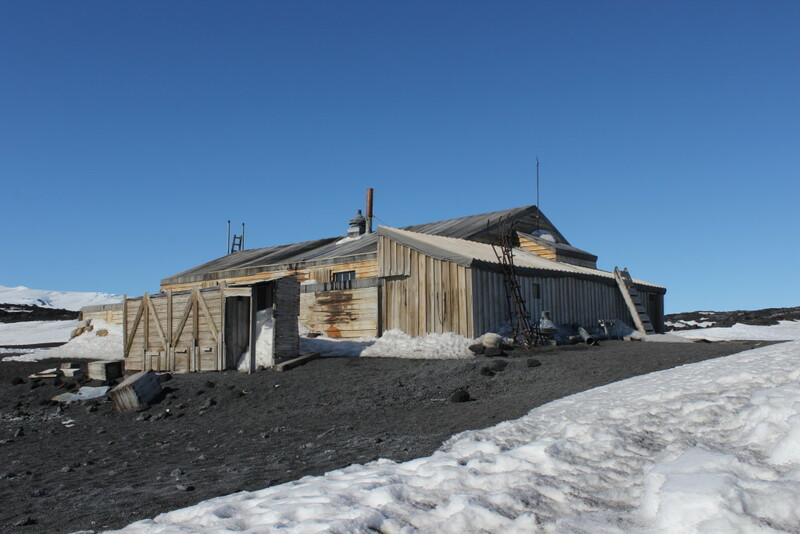 Shackleton’s Nimrod hut is situated at Cape Royd’s which is a volcanic out crop from Mount Erebus and only 11 km North of Cape Even’s where Scott’s Hut is situated. 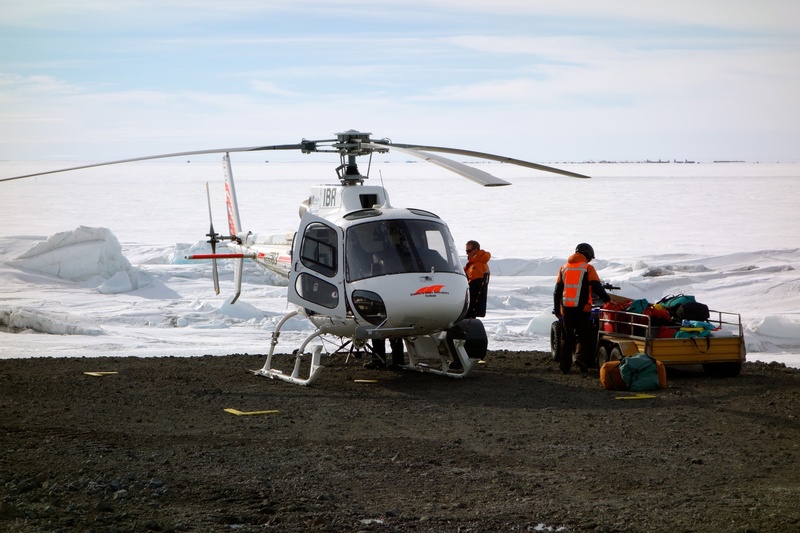 However because of the Mc Murdo Sound sea ice breaking up, the only way to reach the hut is by helicopter. Nichy Brown is traveling with me as support and guide. Amazing person. Super experienced and already has every thing under control for our trip tomorrow. The flight to Cape Royd’s was in near perfect visibility. Flying over Cape Even’s and Cape Royd’s certainly put everything into geographical perspective. I will never forget flying over both Capes. I like to photograph close focus and here are a few more examples. I also like to capture the texture. I must have taken around two thousand photographs but here a few more that caught my eye. Canvas boots hanging on the bunk corner post in Scott’s Terra Nova hut. Impovised drawers below one of the bunks in Scott’;s Terra move hut. Scott’s Terra Hut showing stables and latrines. Scotts hut is an absolute treasure trove of objects and personal items that very quickly became the focus of my paintings. So many potential painting subjects. Oh boy where to start ! Im thinking “Take it easy Sean, you have one shot at this so get on with your plan instead of racing around like a chook with its head chopped off”. 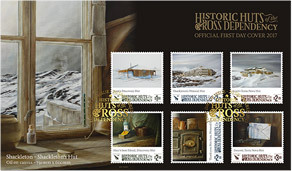 Official stamp for Scott’s British Antarctic Expedition. So, after the emotions settled down, the plan was to gradually work around the hut one area at a time and then focus in on the potential subjects. This was going to be challenging. Its dark, cold and very eerie. As I set about my work the detail of individual items began to emerge. This is when you have to keep your emotions in check as its about as close as you can possibly be to these remarkable men. 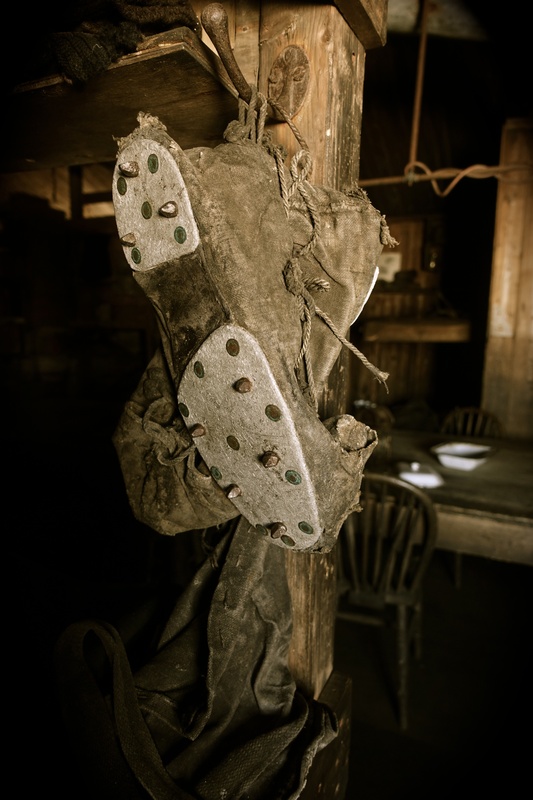 I always wonder who wore these lovely old boot’s. 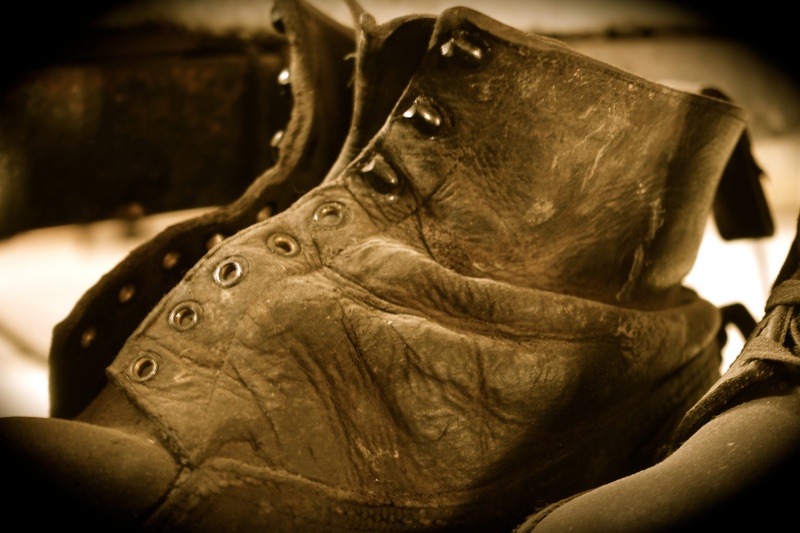 The old leather boots with creases and folds in the leather. So personal like a second skin. Who did they belong to? Tin mugs, Toothbrushes, sewing kits. Chain used to tether the dogs. 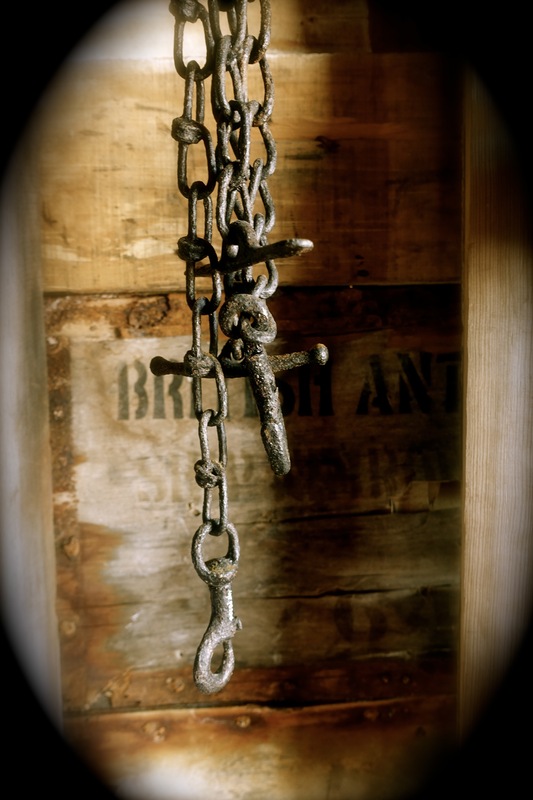 What really got hold of me was the chain hanging up that was used to tether the dogs. It felt very sad. 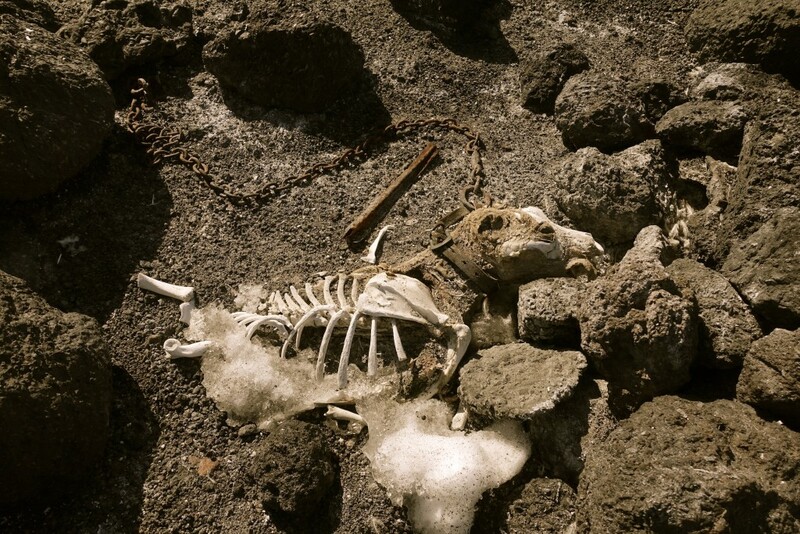 They are our loyal companions and this simple chain reminded me they were here to serve their masters once again in the the most hostile place on Earth. 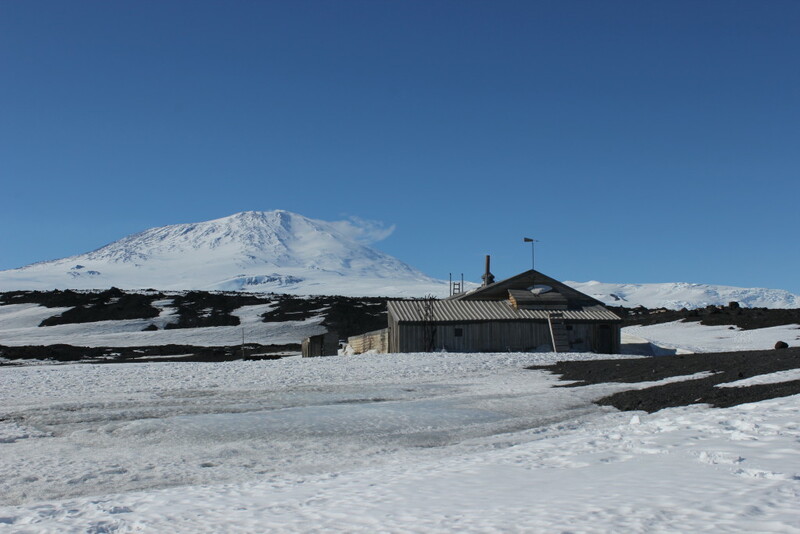 Scott’s Terra Nova Hut and the SW side of Mt Erebus. 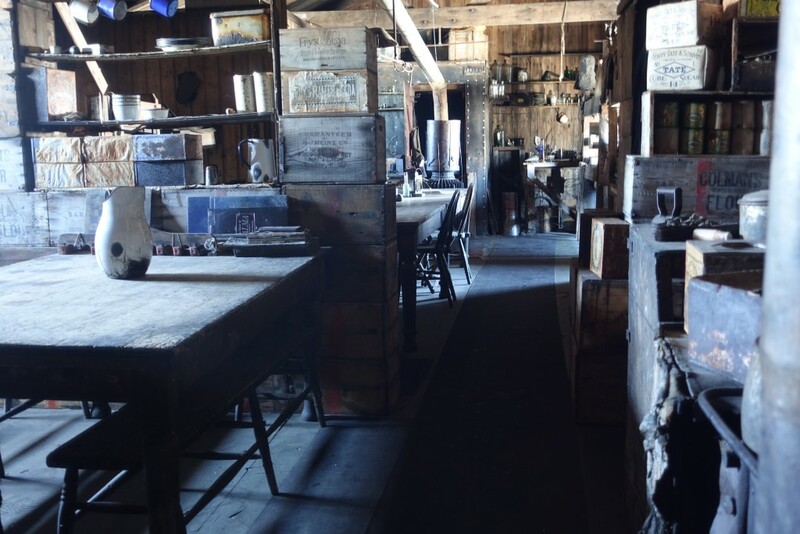 Some parts of the building were very dark and then there were pockets of light where the bright sunshine was streaming through the small windows which high lighted certain parts of the hut. There was no colour. Very subdued. The scene was sad and oppressive. The silence, yes the silence just the sound of the odd Skua which is not exactly the most elegent bird call. Almost Crow like. The absolute quiet. It’s cold. Officers table at far end separated by food boxes from the enlisted men’s table. Running through my head are the stories of hardship and death. You get the scene. 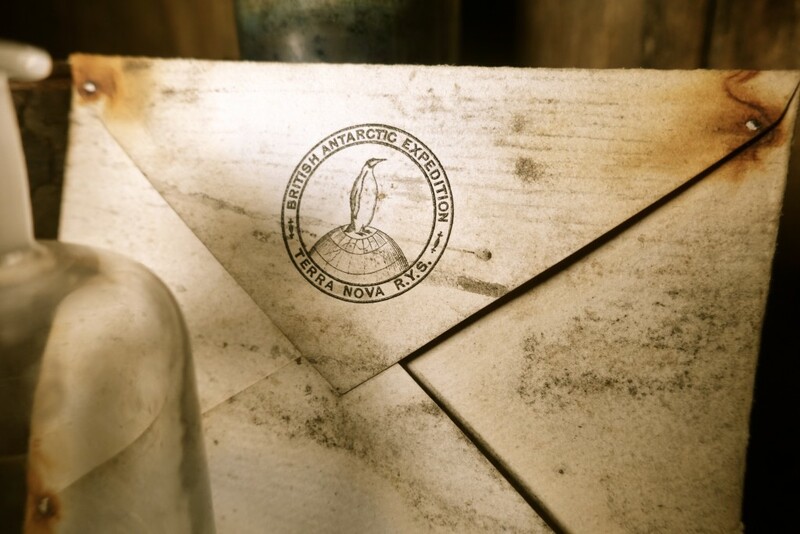 Then I begin to focus on the thousands of artifacts that will become my focus of attention. The sadness within this place is everywhere. They ( the men) were here, definitely here. Its strange, I don’t think so much about Scott but “Birdie” Bowers enters my head again. I think its because he was a strong character and quite recognisable with his big nose. As though he is still here, because the hut is like a time capsule. Maybe he has gone for a walk. He has gone, but his spirit is still here close by. Once I got to know the hut I felt better. 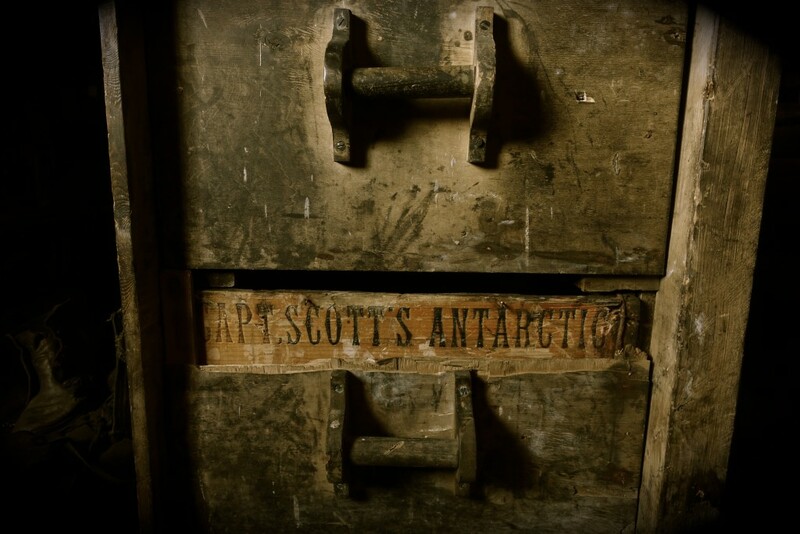 Scott was here for a reason, not only to reach the South Pole. The way the hut was set up allowed for numerous scientific research projects and other projects for the good of exploration and research. It seemed every square inch of the hut had a purpose. I finally made it. Im here at last. 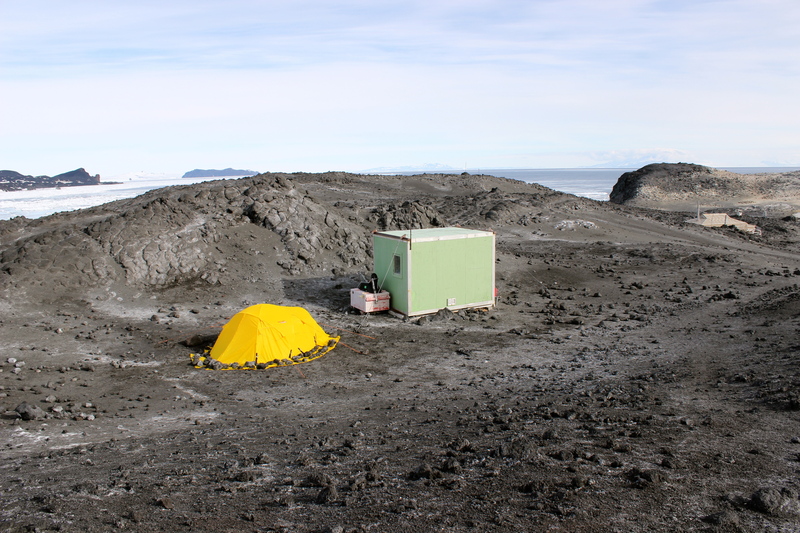 As the we approached Cape Evans, I couldn’t see the hut as it seemed to blend in against the black volcanic rock. Then there she was. Dwarfed by the mighty Mt Erebus. 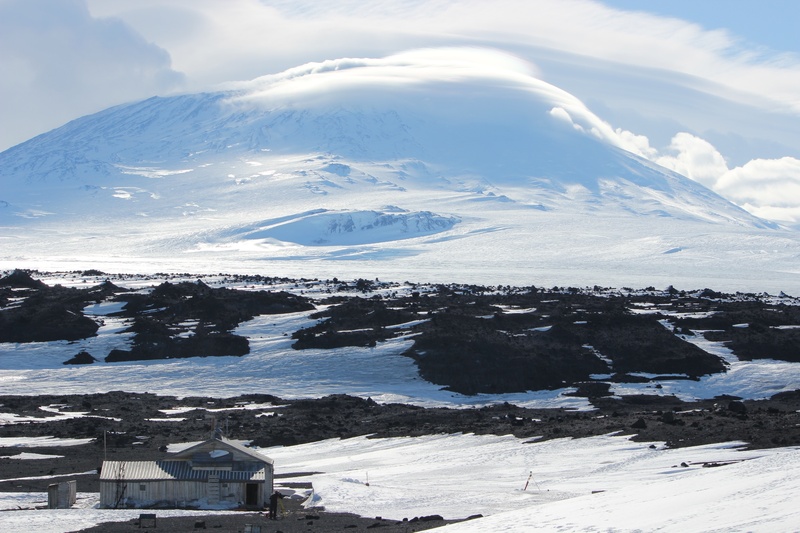 Terra Nova hut dwarfed by Mt Erebus. My first impression was that the hut didn’t belong here in a odd sought of way. I think it was because there is absolutely nothing here, no hint of civilization at all and one simply doesn’t expect to see any hint of civilisation. Then I see the hut, looking forlorn and lonely, but at the same time a powerful monument that represents the spirit of adventure and the men of men who sacrificed so much to lay the foundation for science and exploration in this continent as we know it today. In memory of the three explorers who perished on the sea ice and Ross Barrier 1916. 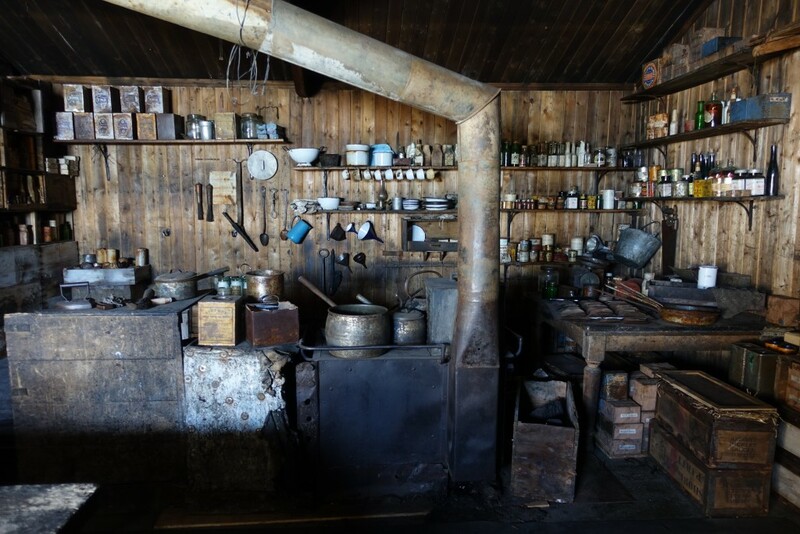 With the Antarctic field training now complete it was time to think about visiting the historic huts. 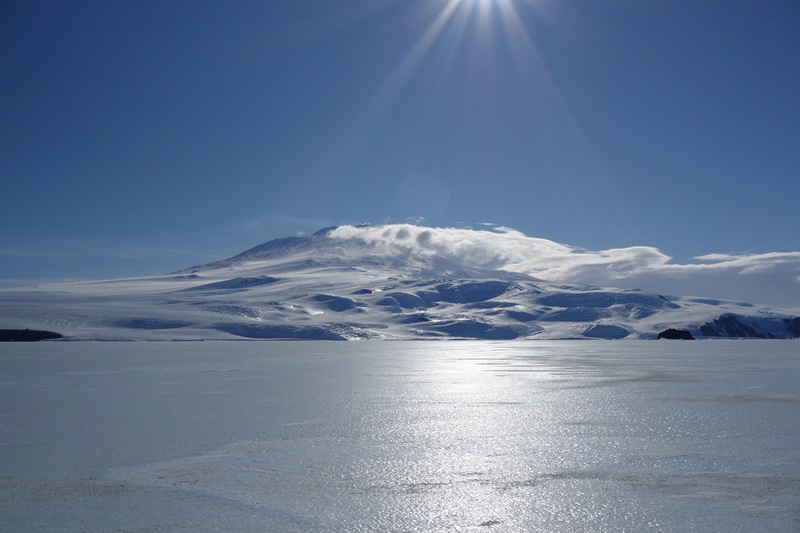 The weather forecast looks brilliant so tomorrow is the day we head out to Scotts Terra Nova hut which is situated 35 km North of Scott Base at Cape Evans. Passing the Eastern side of Mt Erebus on a perfect day. Magic ! The mode of transport will be by Hagglunds. 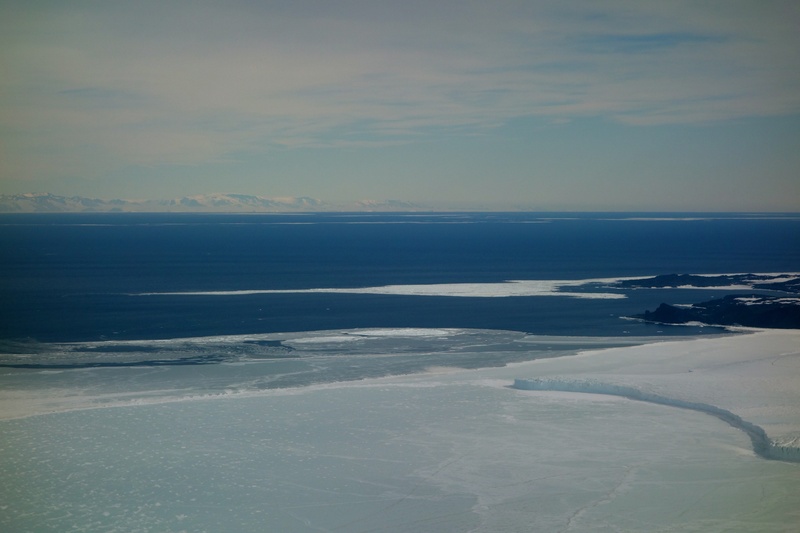 The two hour trip from Scott Base to Cape Evans takes us across the sea ice in Mc Murdo Sound. 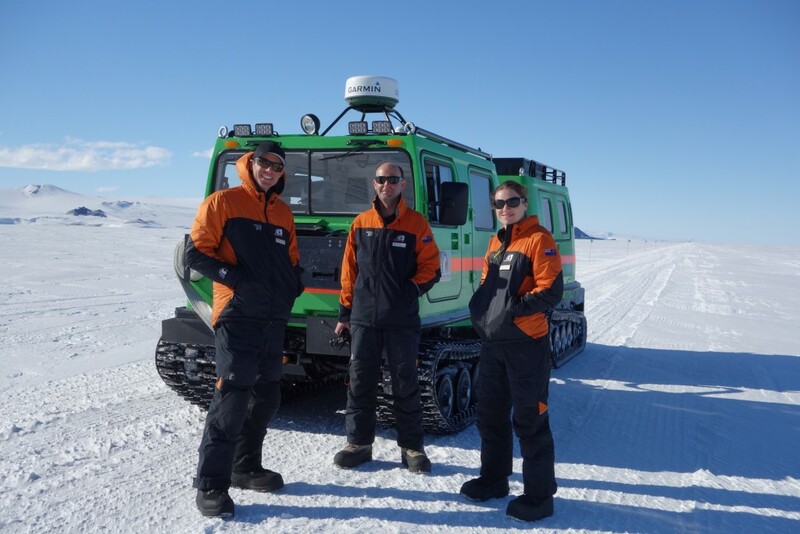 Get this, the sea ice is only 2 meters thick and is still safe to travel over in the Hagglund’s when only 600mm thick. Cape Evans is one of the many spurs of land that protrude out from Mt Erebus. Crossing the Mc Murdo Sound sea ice on the way Cape Evans. The ice is only two metres thick. 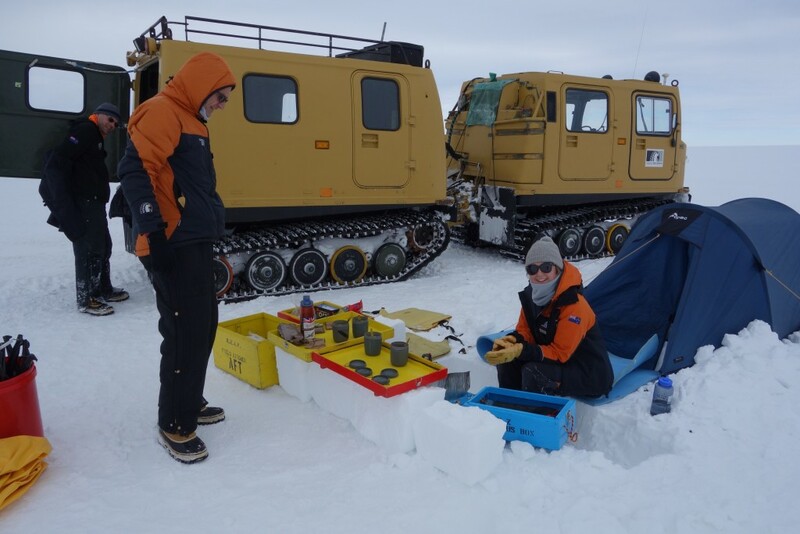 As part of the Antarctic field training, one must dig oneself a snow trench. Then have a sleep, yes have a sleep. That was never going to happen, for me at least anyway. 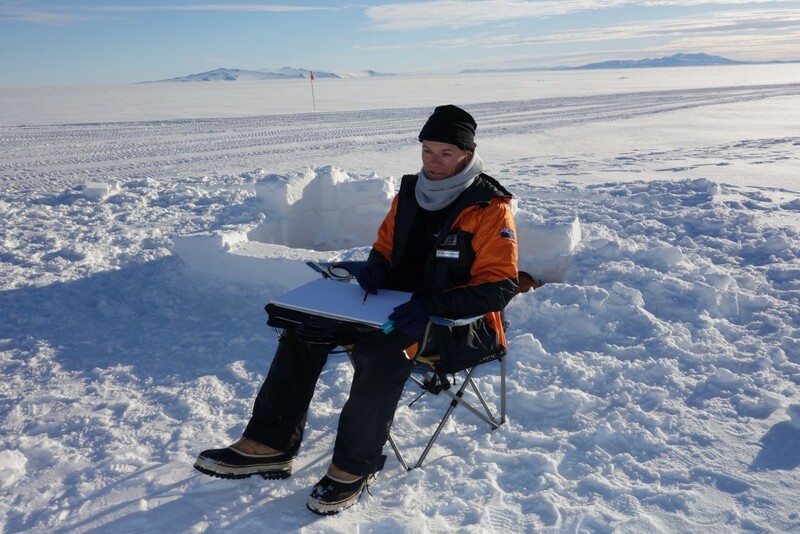 So broad daylight at 0200 hrs, I am thinking, this is a total waste of time, I can be sketching Mt Erebus. So out I pop which must have looked funny from afar seeing this orange thing emerge from the ice. 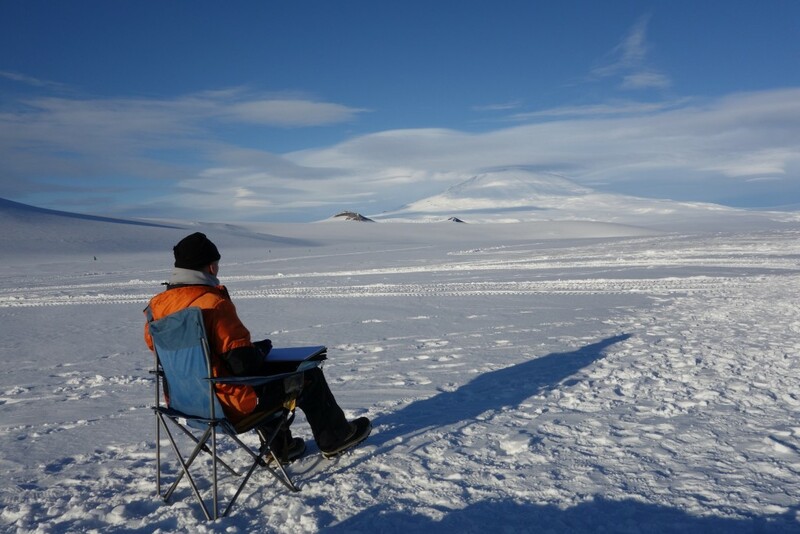 0200 hrs and sketching Mt Erebus. Thats my some what sad looking snow trench behind me. 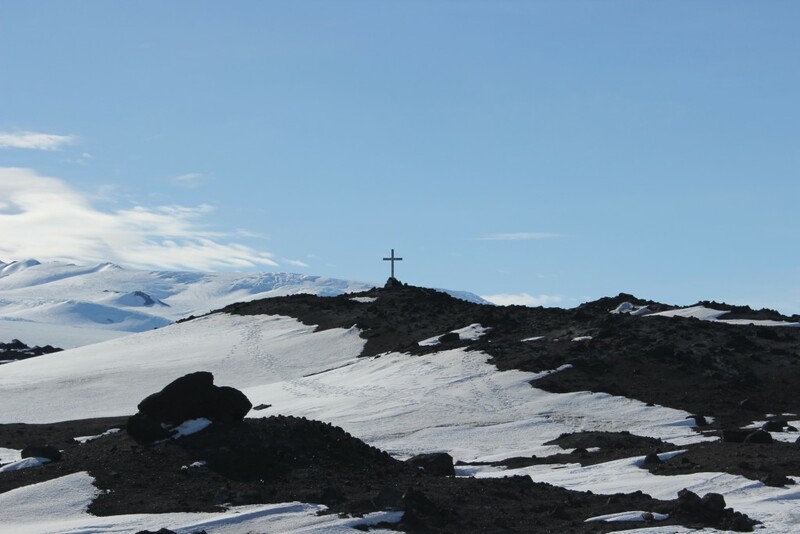 Incidently, Mt Erebus and its neighbour Mt Terra were named by James Clarke Ross who discovered the Ross sea and Ross Ice Shelf. This was some 75 years before the arrival of Scott and Shackleton. Erebus and Terra were the names of his ships he used for this the expedition. This place can be hostile and dangerous! Time out for some ‘just add the hot water cuisine”. 30 hours of survival training was enough to make me realise that Antarctica is no place for fools. The weather can change so rapidly. Antarctica New Zealand and the field trainers at Scott Base are totally committed to preparing everyone venturing out into the field. This is no holiday!